The garden was full of surprised today! The little yellow tomatoes are still growing. They're a little thick skinned but so sweet. 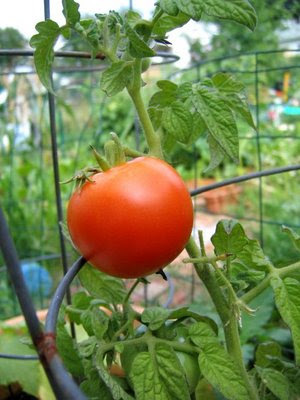 The patio tomatoes are slowly turning red and are incredibly delicious. 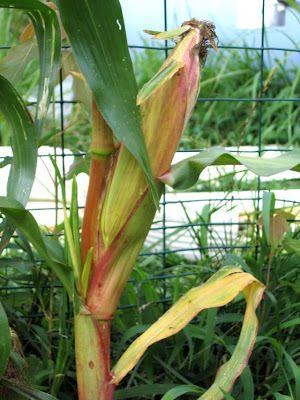 One stalk fell over and I'm not sure if the corn growing on it is actually still growing, but the rest are getting bigger and bigger everyday. 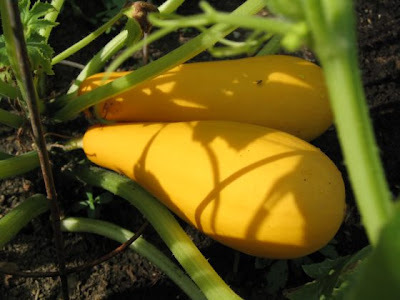 Summer squash everywhere. And I mean everywhere. 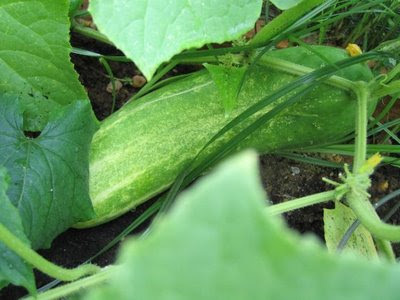 Where did that ginormous cucumber come from? 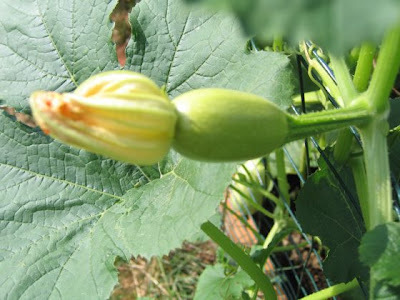 I didn't even know I had a cucumber plant in that bed. It's at least 12" long...probably bigger. How didn't I see that growing? 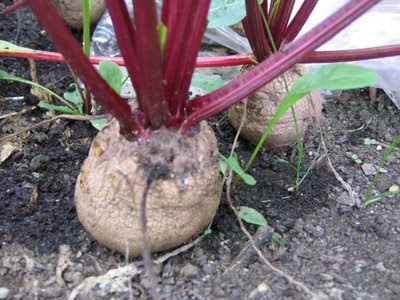 The beets are getting very big. I really need to cook them soon. Are they suppose to push their way out of the ground? I call this the Valley of the Damned Carrots...poor things. 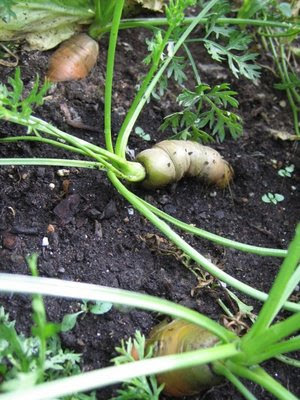 They're also pushing their way out of the ground, but they're all gnarly and twisted and not even close to looking like a carrot. They taste fine, and I have to say I even like the greens. 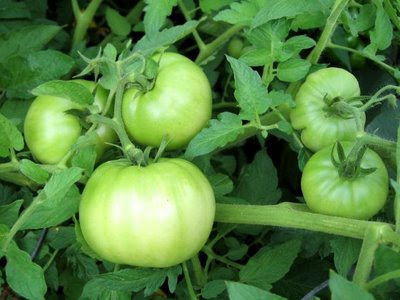 This big beef tomato plant is so big I can't even explain. 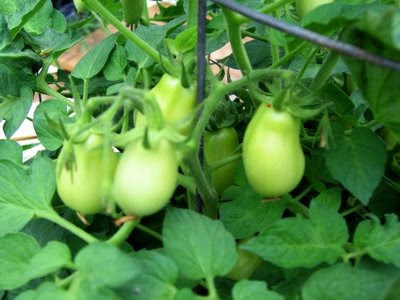 There are so many tomatoes growing it's crazy...but none of them will turn red! 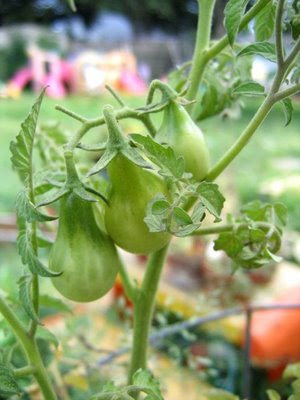 I'm having the same problem with the Roma tomatoes. This is part of the expired seeds I threw in last minute. 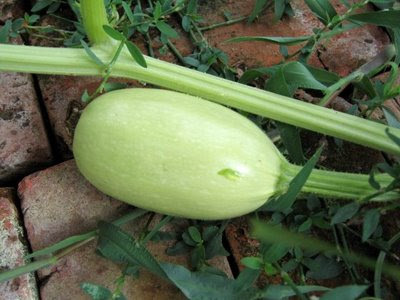 I have no clue if it's a zucchini, an acorn squash or a spaghetti squash. I'm not sure about this one either. I am amazed at the strength of this pepper plant. It's all by itself, covered completely by tomato plants and cantaloupe vines. 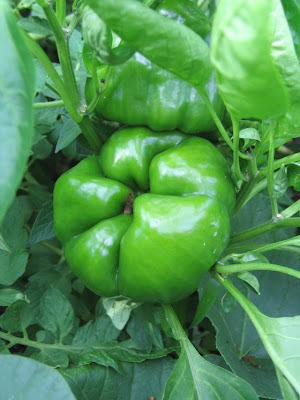 But here it thrives, growing big, extra shiny bell peppers. 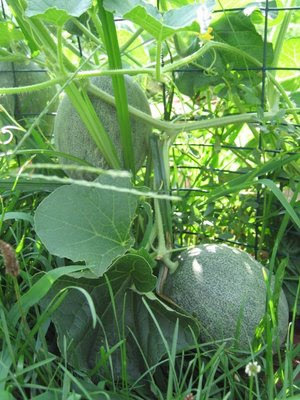 Have I have a cantaloupe! 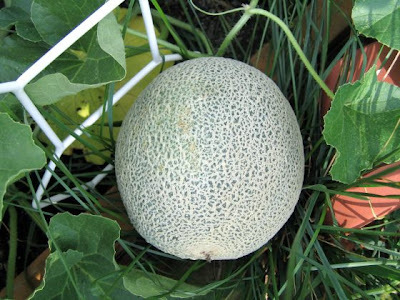 I real live cantaloupe! I didn't even know this one was there! And there are more! I'd have to say there are at least five or six others. And I bet there will be more. I'm so excited! 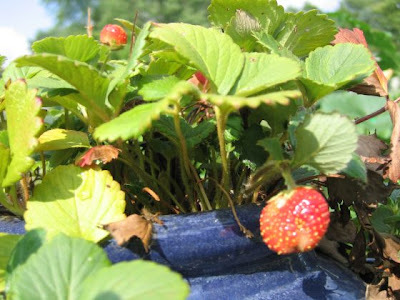 As if the cantaloupe and the monster cucumber weren't enough, the strawberry plant is back in action! There are three sad, shriveled up little ones and two nice juicy looking ones. Craziness. Wow, what a lovely garden!